I used to dish out ideas like cakes to those who are good all-around but just cannot figure out what they want to do. Recently, I realized this is a mistake. Ideas are not like cakes that can just be given out. Rather, they are more like dresses that better be tailored individually. This applies to all kinds of people. Those who can already create ideas do not need to be told what to do anyway. They just need guidance. This is the best case scenario. Some have potential to create ideas but cannot do right now due to lack of proper training or motivation. The goal is to kindle their autonomy. Giving cakes is not going to achieve this, and these might not be what they like to eat anyway. The right thing to do is forcing them to think. The process could be frustrating sometimes, but worth the end result. Those who lack fundamental abilities to create ideas are not suitable for research anyway. Giving them ideas just wastes everyone’s time (and the ideas). They should switch to alternative career paths as early as possible. A proper timing to share ideas is after someone already figures out a related direction. I bumped into this interesting and concise article a few days ago. I encourage you to read it in whole and watch the embedded video. Basically, it echoes my personal experiences quite well, across product groups, industry labs, and academia. 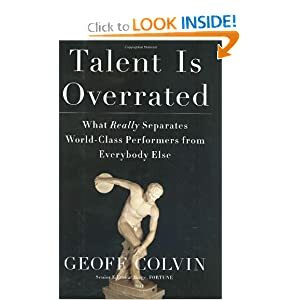 For jobs that require any dose of innovation, the success predominantly depends on individual creativity, perseverance, and autonomy, rather than knowledge, smartness, or even intelligence. I have a very simple rule of thumb to know, at an early stage, whether a student is suitable for research, or any form of innovative work. It is a bit like push and pull. If I push you a bit (e.g. suggesting you to try an experiment) and you can react back with at least something I did not know a priori (e.g. a surprising result or a better way to do that experiment), you are probably good. Otherwise, you are just a robot that needs to be told exactly what to do. It is a bit better, but not fundamentally different from, say, strawberry pickers or assembly line workers. Autonomy is the main distinction between jobs in the past 2 millenniums (e.g. agriculture, manufacturing) and this new millennium (the so called knowledge economy). It is also the main reason behind the bifurcation of economic power, social class, and a lot of other things. On a related note, a recent story deeply touched my heart. A previous unknown, 50+ years old mathematician, with stints in fast food restaurants, recently proved an elusive property of prime numbers that has been one of the longest standing math challenges. I did not know this guy, but I bet he must have a tremendous amount of passion and perseverance to spend all the time and efforts to pull this off. I found the TEDxBow talk by Lloyd Davis on “5 Open Secrets of Creative Collaboration” very interesting, in that it emphasized the importance of physical human connections (and trust) in fostering creative collaboration, which is entirely opposite to my methodology of minimizing physical human contacts. The natural way to produce good ideas is to have a bunch of smart and creative people work together. This is the main (if not the only) reason for the success of top research institutions, as I have personally witnessed in Stanford and MSR. The conventional method for collaboration is through physical proximity, implying that to work with top people you have to join them in a top institution. I am not sure if this is the only or even the best way though. Personally I have not found physical proximity any better than remote collaboration; almost all my ideas were produced either entirely on my own or via collaborations with or inspirations from remote people. The current technology is already good enough for me to be (intellectually) connected to almost anyone I want. (People who shun technology are not likely to be very good anyway, at least in computer science.) Even serendipity, the main advantage of physical proximity, can be managed by remote collaboration; I actually found it more efficient to write down my ideas than rushing to tell people. Another benefit for remote collaboration is that it provides more flexibility to fit people with different levels of intelligence and experience. Not everyone is smart enough to have productive face-to-face brainstorming, and when that happens, I usually find it a great waste of time. I would rather give them more time (and grace) to think through stuff remotely and communicate with me asynchronously. But I do wonder if I can be more effective by mixing a bit physical collaboration with suitable folks. Will experiment and report. This is the holy grail among all questions related to research, or any other intellectual pursuits. I used to (and still) think creativity is more of an innate talent and personality trait than something that can be taught. But I have finally gathered some anecdote to start something concrete. Some of these came from my own experiences and some from people I know. So it is a very personal perspective, and I cannot guarantee anything. I summarize these into two main aspects, divergence and convergence. The goal is to have both in a right balance. My take is that either is hard, and the right combination is even harder. Many good ideas were generated by exposure to diversity, such as learning from different fields, interacting different people, and experiencing different cultures. (3) people who are multilingual and/or have been living in different countries/cultures tend to be more successful [dig out that economist(?) article]. Try to be playful and willing to take risks. Happier people tend to be more creative [dig out the source]. Those not willing to take risks usually end up with ordinary performance; this is evident in not only entrepreneurship but more mundane stuff like paper submissions: aiming for a more prestigious venue often encourages (or forces) people to be bolder. God/devil is in the details. Many good ideas came by carefully studying a subject. My SIGGRAPH 2011 paper on “differential domain analysis” was originated from the trigonometric transform equation which I discovered by trying to solve a puzzle of my previous SIGGRAPH 2010 paper on “multi-class blue noise sampling” (the equation first appeared on the technical report published the previous year in 2009). Sometimes one has to be a perfectionist, pushing things beyond the very top level, to discover the golden nugget of ideas. This was the case for my SIGGRAPH 2011 paper on “discrete element textures “, which went through multiple submissions to the point that the authors started to feel desperate and only be saved by the discovery of a very important key idea (sample based representation that requires only positional but not rotational information).